“When Harry Met Sally” is only the most iconic of popular American movies, books, and articles that pose the question of whether friendships between men and women are possible. In Founding Friendships, Cassandra A. Good shows that this question was embedded in and debated as far back as the birth of the American nation. Indeed, many of the nation’s founding fathers had female friends but popular rhetoric held that these relationships were fraught with social danger, if not impossible. Elite men and women formed loving, politically significant friendships in the early national period that were crucial to the individuals’ lives as well as the formation of a new national political system, as Cassandra Good illuminates. 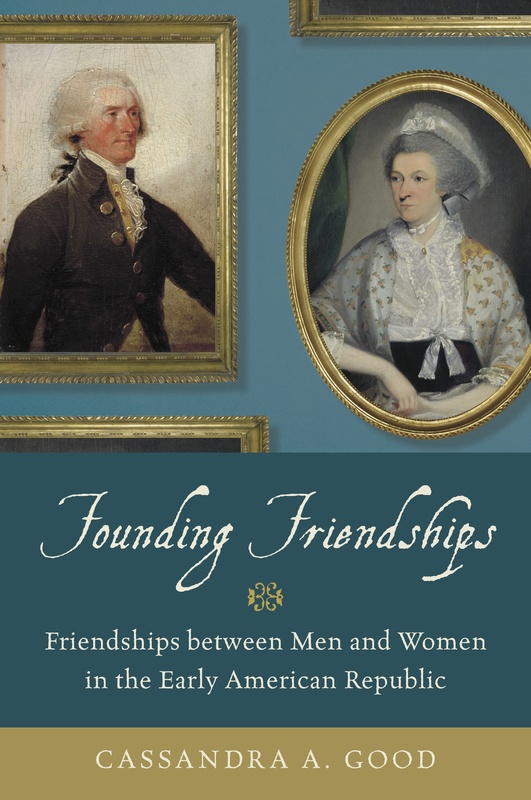 Abigail Adams called her friend Thomas Jefferson “one of the choice ones on earth,” while George Washington signed a letter to his friend Elizabeth Powel with the words “I am always Yours.” Their emotionally rich language is often mistaken for romance, but by analyzing period letters, diaries, novels, and etiquette books, Good reveals that friendships between men and women were quite common. At a time when personal relationships were deeply political, these bonds offered both parties affection and practical assistance as well as exemplified republican values of choice, freedom, equality, and virtue. In so doing, these friendships embodied the core values of the new nation and represented a transitional moment in gender and culture. Support DC’s premier independent book store, Politics & Prose, and purchase the book at their shop or online (same price as Amazon). The book is also available at Amazon.com.